Sharthinth Venkatesh was awarded the Richard Perlman Prize for the year’s outstanding paper in Labor Economics. He won for his paper “Changes in the Returns to Education: Evidence from Three Cohorts of the NLSY”. Given first in 1999, the prize recognizes more than 30 years of wit and wisdom provided by Richard to the UWM Economics Department. 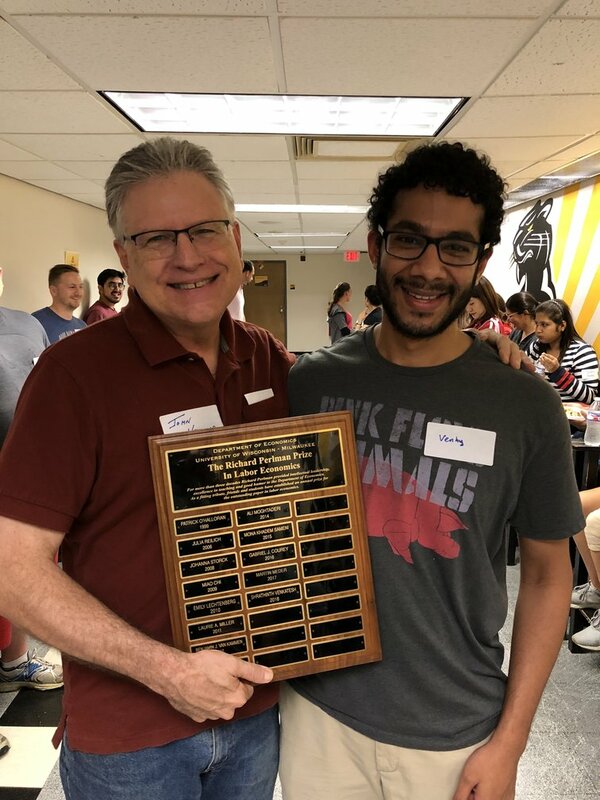 The funds collected by Richard’s friends, colleagues, students and by past winners of his prize continue to recognize the best labor economics paper by a UWM student. We encourage contributions to the Richard Perlman Fund to support and enlarge this recognition of our outstanding student scholars and to commemorate Richard.